7th World Congress on Physiotherapy and Rehabilitation : Vydya Health - Find Providers, Products. 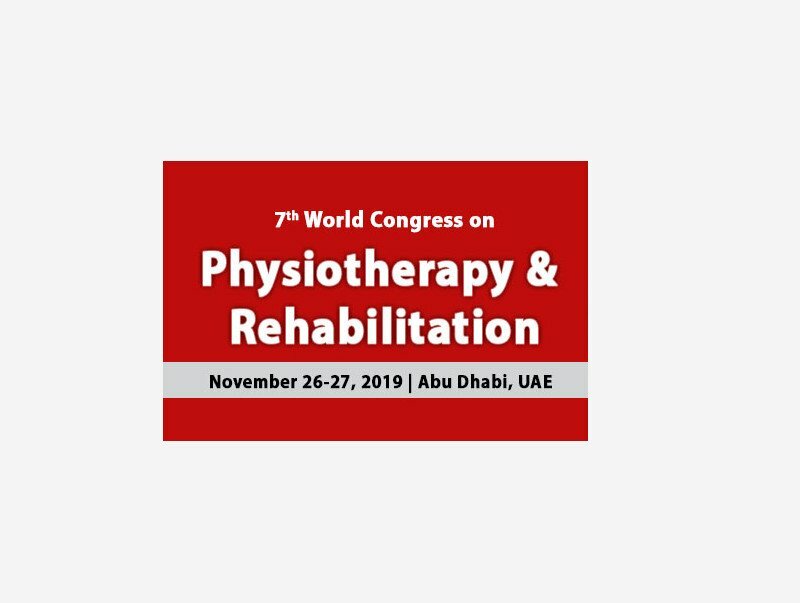 We are announcing “7th World Congress on Physiotherapy and Rehabilitation” going to be held during November 26-27, 2019 at Abu Dhabi, UAE with the innovative theme “Probing the Advancements and Technologies in Physiotherapy and Rehabilitation”. This Physiotherapy Meet 2019 Conference will focus on innovative technologies leading to the development of both assessment and rehabilitation tools, the conference will feature inspiring scientific presentations and plenary speakers, enhancing interactions between engineers and physiotherapists. The goal of Physiotherapy Meet 2019 Conference is to deliver an outstanding program for exchange of ideas and authoritative views by leading professionals which covers the entire spectrum of research in Physiotherapy and share the cross-cultural experiences of various latest technologies and medical practices.